It is very difficult to think of another season that rivals this one in terms of top prospects making their MLB debuts. The only year that really comes to mind would be the 1995 season which marked the first appearance of the Yankees “Core Four” (Jeter, Posada, Pettite and Rivera) and Jason Giambi, Johnny Damon, Hideo Nomo, Billy Wagner, Troy Percival, Jason Isringhausen, Mike Cameron, Phil Nevin, Brian Giles, Matt Lawton, Esteban Loaiza, Brad Radke and (current Rockies pitcher) LaTroy Hawkins. Through 64 games this season, not only have we seen the arrivals of MLB.com’s Top 5 prospects (Kris Bryant, Byron Buxton, Carlos Correa, Addison Russell and Francisco Lindor), but we have also had the privilege of witnessing the MLB introductions of: Joey Gallo, Noah Syndergaard, Kevin Plawecki, Carlos Rodon, Archie Bradley, Blake Swihart, Eduardo Rodriguez, Austin Hedges, Lance McCullers, Vincent Velasquez, AJ Cole, Chi Chi Gonzalez, Yasmany Tomas, as well as a trio of Blue Jays (Roberto Osuna, Miguel Castro and Devin Travis). And that is not even including the highly talked about debut of ambidextrous relief pitcher, Pat Venditte. This year’s “bumper crop” of prospects is just the latest in a five year boom of young talent arriving at the MLB level. Since 2010 baseball fans have had the privilege of witnessing the arrivals of: Mike Trout, Giancarlo Stanton, Bryce Harper, Buster Posey, Paul Goldschmidt, Manny Machado, Josh Donaldson, Kyle Seager, Freddie Freeman, Andrelton Simmons, Dee Gordon, Billy Hamilton, George Springer, Anthony Rendon, Madison Bumgarner, Chris Sale, Stephen Strasburg, Michael Wacha, Matt Harvey, Jose Fernandez, Sonny Gray, Zach Wheeler, Matt Moore, Corey Kluber, Shelby Miller, Trevor Rosenthal, Craig Kimbrel and half of the foundation of the Kansas City Royals roster (Eric Hosmer, Mike Moustakas, Greg Holland, Lorenzo Cain) to name a few . And those are just players who were drafted through the MLB Draft; we’re not including players who were signed as International Free Agents like: Yasiel Puig, Aroldis Chapman, Jose Abreu, Yu Darvish, Masahiro Tanaka, Alex Guerrero and the rest of the Royals roster foundation (Yordano Ventura, Salvador Perez and Kelvin Herrera). The funny thing is that this recent prospect yield is far from over. Obviously in the coming years we will be privy to see the arrivals of numerous prospects, but with this year not even half way over, we may be in line to witness more (young) talent embark upon their career. Depending on how the division and wild card races play out down the stretch, not to mention the rosters expanding in September, we could see the likes of Corey Seager (LAD), Mark Appel (HOU), Steven Matz (NYM), Alex Meyer (MIN), Miguel Sano (MIN), Carl Edwards (CHC), Aaron Nola (PHI) and J.P Crawford (PHI) before all is said and done. It is hard not to agree with Price, Gordon and the side who vehemently oppose fans having the final say on who starts the All Star game. In fact, I am one of those people who believe that the system needs to be changed. Having the fate of All Star starters rest in a fan held vote robs players who DESERVE to be there! With a fan vote, a player who is having a career year or one who is a “feel good story” might not get the chance to be named an All Star because one fan base is larger than another and voted more often for their hometown players; regardless of the season they’re having. With that in mind, I do believe that fans should still play a role in selecting players, just not the starters. Why can they not vote on who will take place in the Home Run Derby? I understand that not everybody is an option to take part, but why can they not vote out of those who are willing to participate? 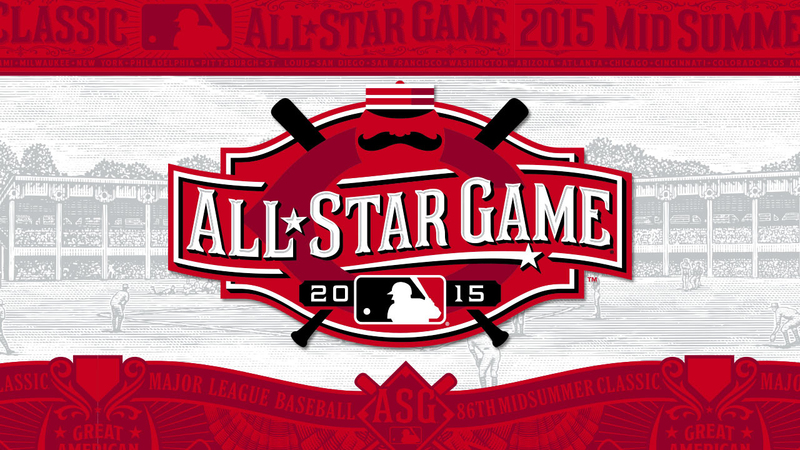 I also like the idea of fans selecting the last player to be named to the All Star game. It really tends to be a selection made more for depth in case of extra innings, so why can we not limit them to voting for that, or even expand it so they can vote for the last three roster positions? Grantland’s Jonah Keri put out an incredible Blue Jays article and an accompanying podcast. The Blue Jays are discussed in the first twenty minutes of the podcast and Jonah is joined by Scott MacArthur from TSN 1050 for the segment. More impressive than his stat line was Syndergaard’s ability to throw his secondary pitches for strikes in fastball counts, following the Bautista home run in the 1st. Gregg (Two G) Zaun made a decent point about our whipping boy Dickey during the pregame broadcast. He said that Dickey is effectively the same guy he was when he was pitching for the Mets, the main difference being that when he was with the Mets, he was pitching in a bigger ballpark, in a weaker division and against weaker lineups. I hate giving RA any benefit of doubt, but I do agree with Zaun’s analysis on this one. Can we please (FINALLY) address our lack of pitching!? I fully understand that everybody fears making another R.A Dickey/Syndergaard type of trade, but you know what we really should fear?!?!? Not making the playoffs… AGAIN!!! I am totally on board with dealing some of our tomorrow for today! You have to be willing to take a chance in order to make it to the playoffs. It might work, it might not, but it is worth trying especially when the opportunity presents itself. The Giants for instance traded Zach Wheeler to the Mets for three months of Carlos Beltran in an attempt to win. Sure it didn’t work for them that season, but those are chances contenders and winning franchises make. Why can’t we? As much as I love prospects like Norris, Castro and Pompey, I wouldn’t hesitate to package them for a closer and a starter. You have to figure that those three (at least) get the conversation started on a Cueto/Chapman or Clippard/Kazmir deal? Hell, just one of them should be enough to land Papelbon from Philadelphia. MLB.com’s affiliated site, Cut4, posted this incredible read on the nicknames that MLB players are known by in Taiwan. Enjoy. 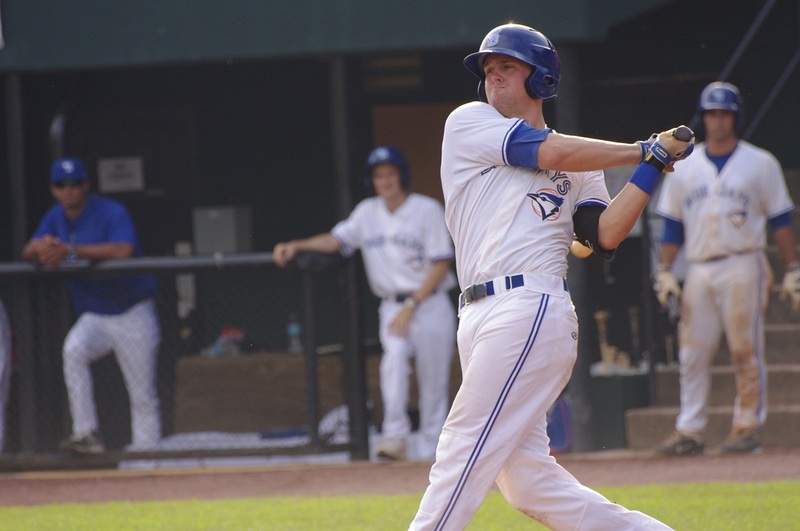 With the MLB Amateur Draft now entering its third day it is time for us to take a quick look at how the Blue Jays have fared so far. With not having the best access to scouting information or video, I have relied heavily on scouting reports and break downs from MLB.com and the great Blue Jays community website, bluebirdbanter.com. 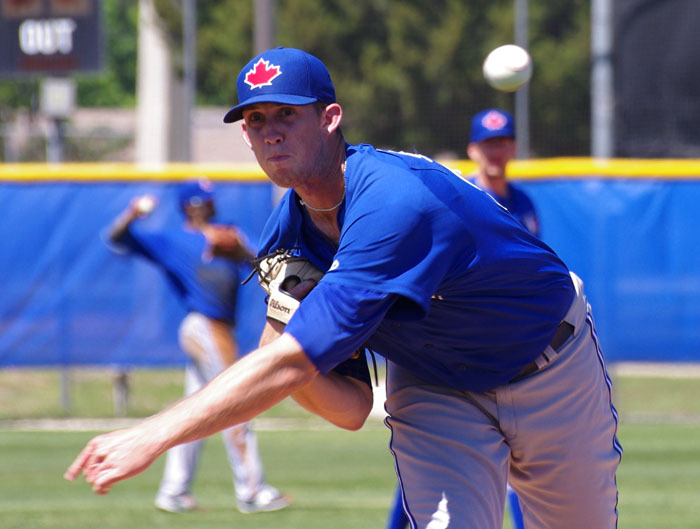 Although not possessing nearly the amount of upside as 2014 first rounder, Jeff Hoffman, some scouts believe that because Harris is more polished and closer to being a “finished product,” that he could move quickly through the Blue Jays minor league system. 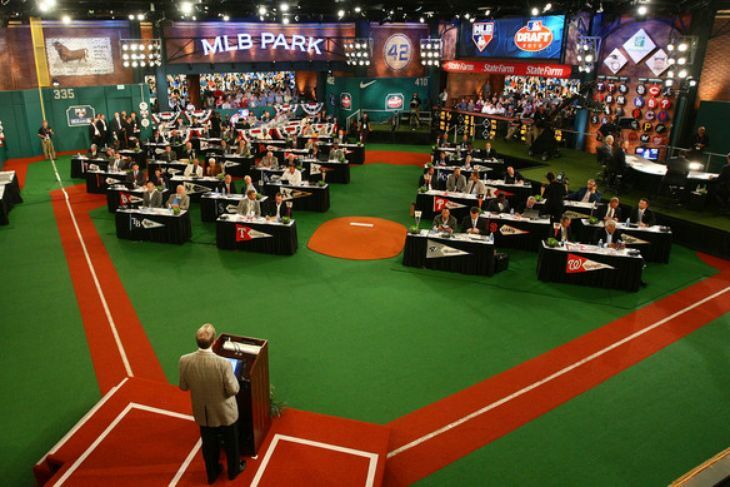 Jim Callis of the MLB network said that the Blue Jays got a “steal” in Harris, who was rumoured to have been going in the first 15 picks. Needless to say he was not expected to be there when the Jays were picking at #29. 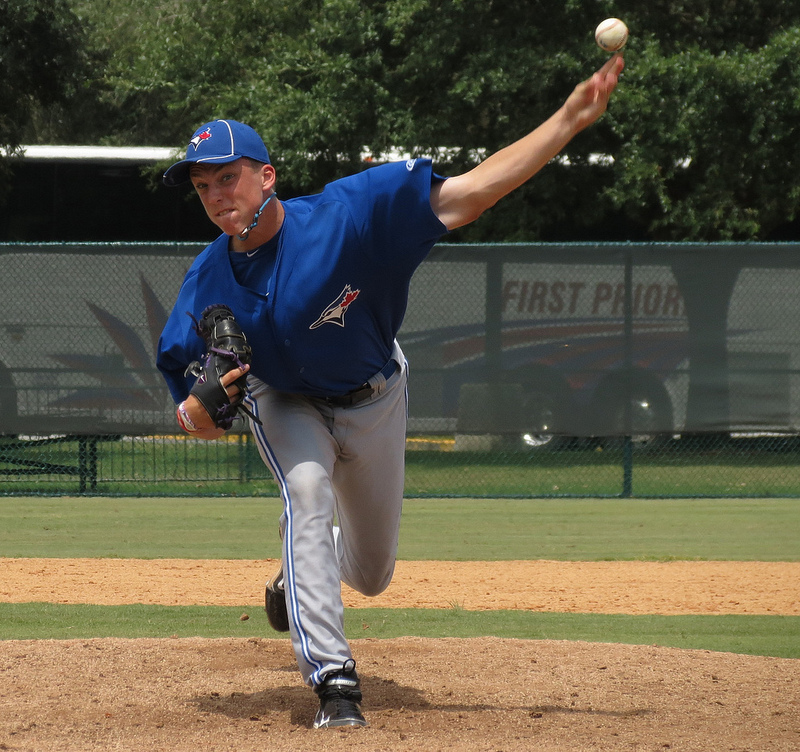 Last week we took a look at the top 5 pitching prospects currently in the Blue Jays farm system. Just as was the case with the pitching prospects, all the players that we have examined have yet to make their MLB debut. 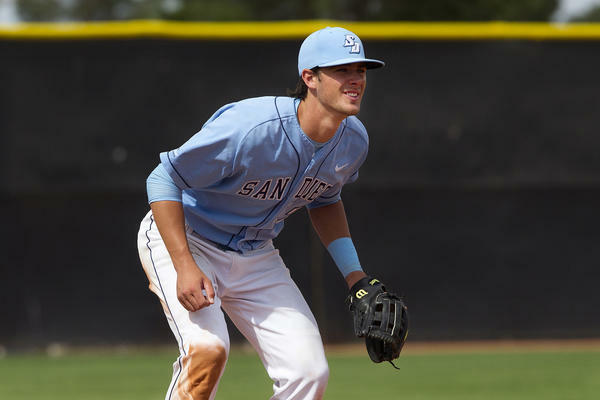 Finalist for the Johnny Bench award – given annually to the Best Catcher in Division I College Baseball – and was considered the best catching prospect available in the 2014 MLB Amateur Draft. 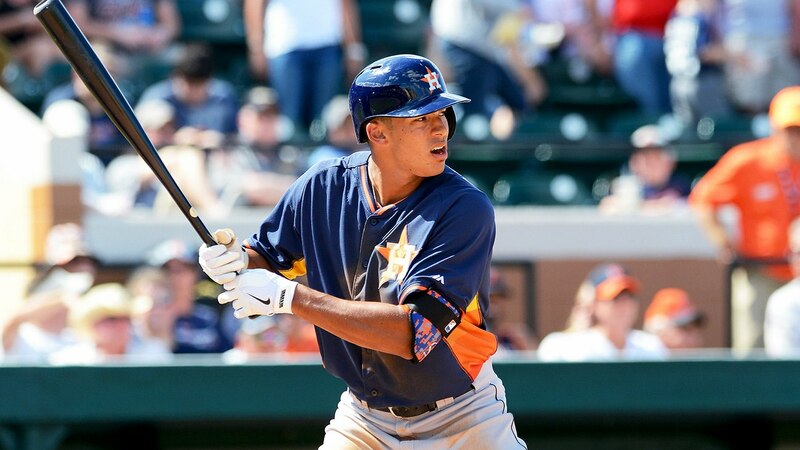 Still waiting for Pentecost to make his 2015 season debut following offseason shoulder surgery to repair a partially torn labrum, but we were able to see a small sample of what he is capable of when he hit .324/.330/.749 with 7 extra base hits and 12 RBI in 105 at bats split between two levels of Single A after signing his MLB contract. 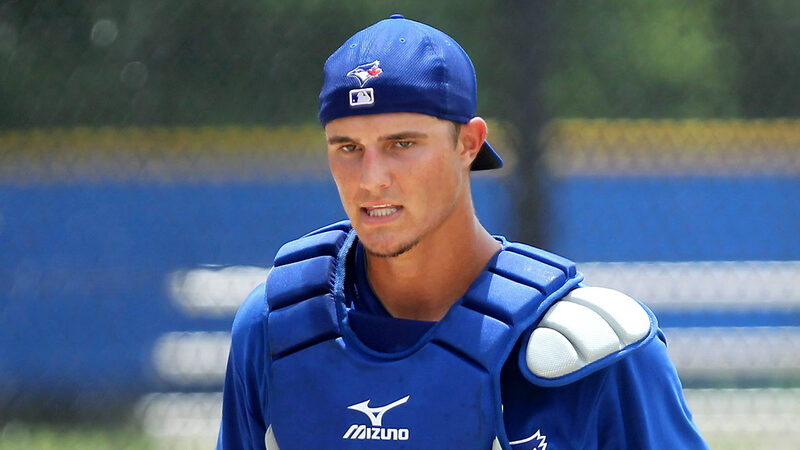 Was the 9th ranked international free agent available in the 2012 class and signed with the Blue Jays along with Franklin Barreto, who was ranked 2nd. With Barreto now property of the Athletics (traded for Josh Donaldson), Urena’s path to Toronto is a little less clogged. 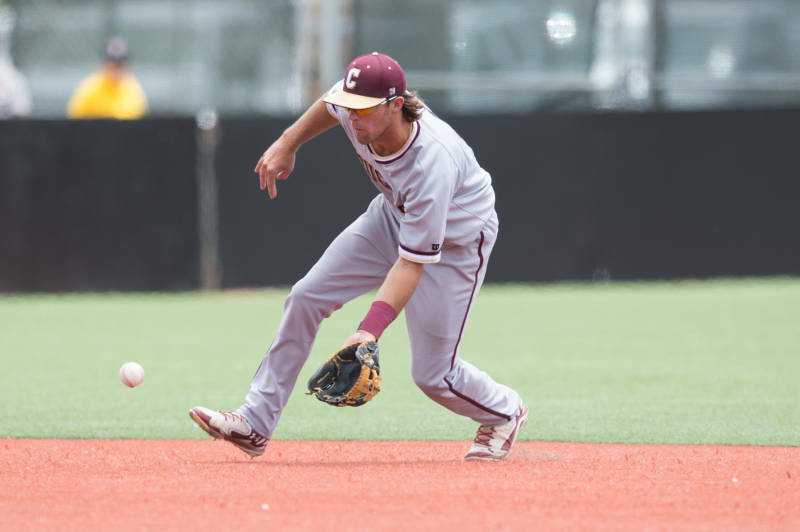 Known more for his glove than his bat, Urena uses his soft hands and good footwork combined with solid range and a strong throwing arm to earn plus grades in the defensive department. This should help ensure that he stays at SS at the major league level. Even with having an advanced glove, Urena shouldn’t be considered an “all glove, no bat” shortstop. 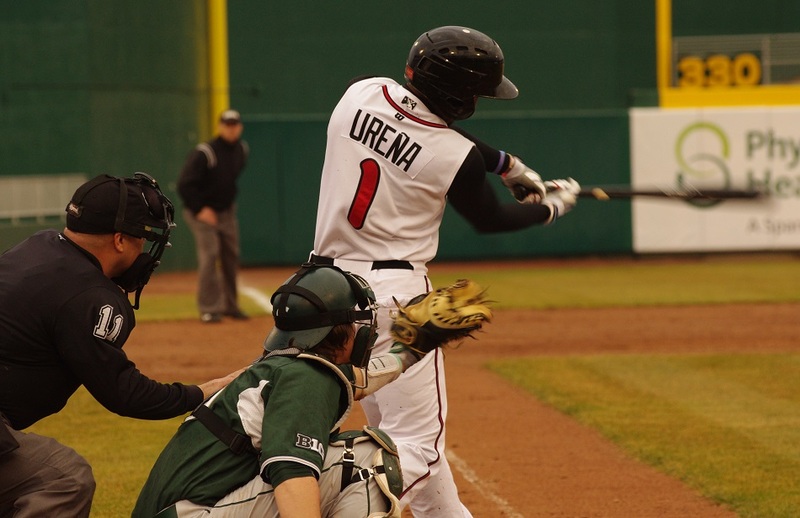 Through 51 games with Lansing, Urena is currently hitting .284/.300/.754 with 8 HR and 42 RBI in 218 AB. Has been credited with having advanced patience at the plate for his age, yet he still manages to strike out in 20% of his at bats. This is an area that will definitely need to be addressed going forward if he plans to progress rapidly through the minors. The big bodied 3B combines his quick hands with a solid approach at the plate in order to make consistent, hard contact. Nay has also been known to put on a power show during batting practice but has had trouble transitioning that raw power into the actual game. Has shown that he has enough of an arm to play third base, but other than that, he gets below average grades in range and footwork. If his defense doesn’t improve at the hot corner, a change in position may be in the cards. If that is the case, Nay definitely has the arm to play RF, but 1B is just as likely of an option. Defense aside, Nay’s bat and offense will continue to dictate his ascension through the minors and will determine how much, if any, of a major league career he has. Comes from MLB pedigree. His father, also named Dwight Smith, played in over 800 games spanning 8 seasons in the majors. In his first two full seasons in the minors, Smith has proven to be a difficult out at the plate thanks to his quick swing and advanced knowledge of the strike zone. He has also shown to have good eye and discipline at the plate which, when combined with his quick swing, leads to a solid on-base %. Has split times between CF and LF during his time in the minors, but seems better suited for LF long term because of his speed and arm strength. The Blue Jays also had Smith take reps at 2B during the Arizona Fall League and Spring Training this year in the hopes that he could help solve the revolving door at 2B. 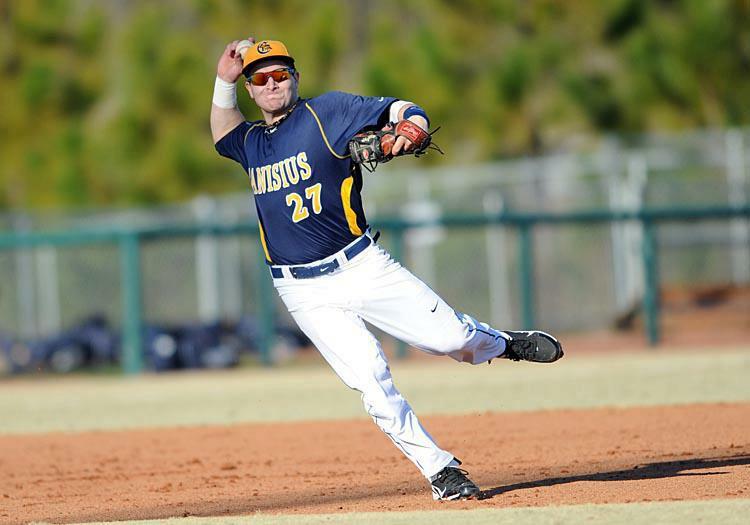 That being said, I do wonder if the emergence of Devin Travis this season has caused them to shelve or limit his time at 2B? Either way, the time spent at 2B can’t hurt, if anything it can only help him become more versatile. 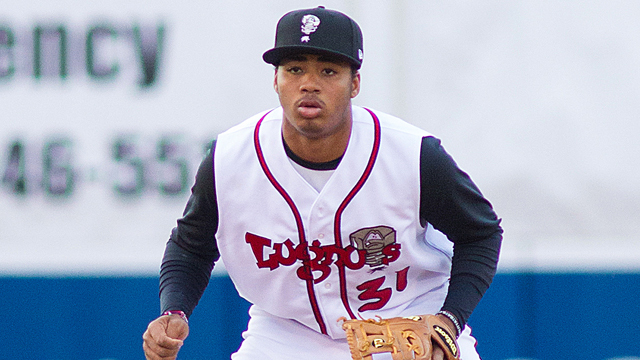 Another high ceiling SS that the Blue Jays signed as an international free agent, Lugo was viewed as one of the best hitters in the 2011 class. Regarded as a good “bad ball” hitter which helps him cut down on his strike out numbers. Lugo has a decent amount of raw power for his size and, with his quick hands; it could turn his line drive power into home run power. Currently a SS in the minors, Lugo does have the hands and arm strength to stay at the position in the majors. Although his lack of speed and range could see him slide over to 2B or 3B long term, especially if he adds more size. 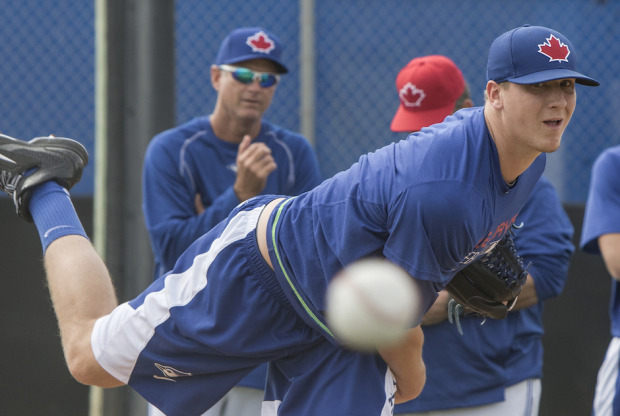 Believe it or not, but despite the Blue Jays opening the 2015 season with six rookies – Devin Travis, Dalton Pompey, Daniel Norris, Miguel Castro, Roberto Osuna and Aaron Sanchez – on their 25 man roster, it hardly made a dent in the depth of their farm system. Even with their less than stellar track record in ACTUALLY signing their first round picks (Tyler Beede and Phil Beckford, anyone?) 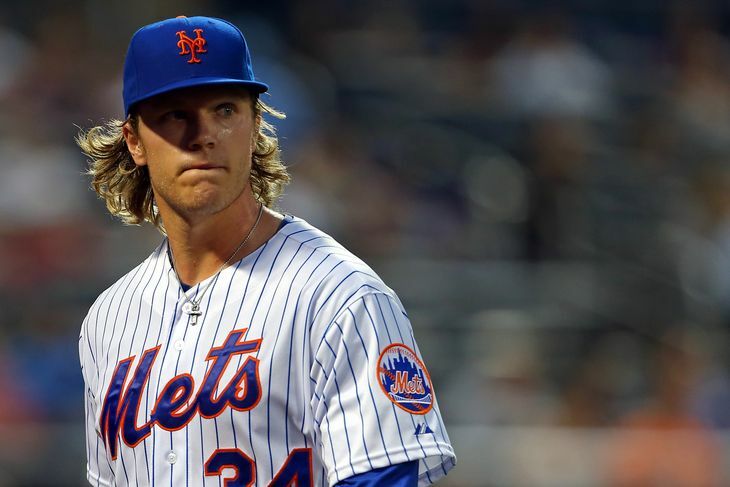 and recent history of mortgaging the future in trades (Noah Syndergaard, Justin Nicolino, Anthony DeSclafani, Jake Marisnick etc…), the Blue Jays front office has done a near spectacular job in restocking the farm system year in and year out. It doesn’t matter how they go about it, whether it be in the MLB Amateur Draft or signing international free agents, General Manager Alex Anthopolous and the Blue Jays brain trust have been able to acquire an abundant amount of prospects that will be able to help the organization in the future. Only time will tell whether that impact will be felt on the actual field or via the trade market, but it is good knowing that you have that deep of a farm system at your disposal. 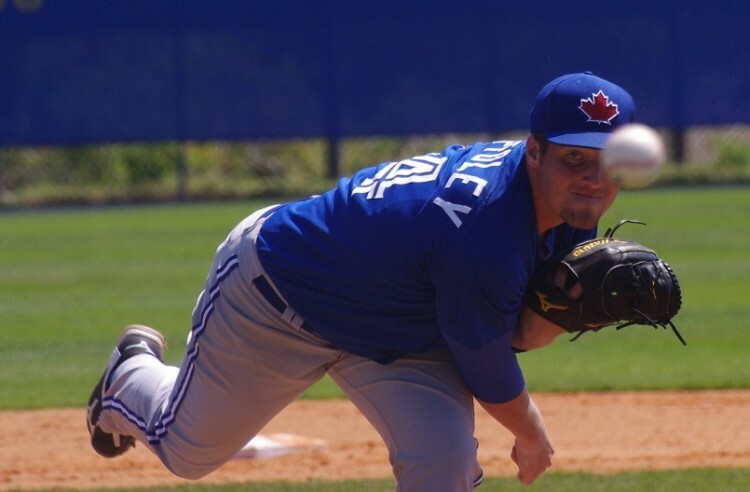 With the MLB Amateur draft right around the corner, we will be taking a look at the Blue Jays Top 5 pitching and positional prospects. With apologies to current Buffalo Bison teammates, Miguel Castro, Dalton Pompey and Daniel Norris, these “future reports” are only focusing on those Blue Jays prospects who HAVE NOT made their MLB debut. 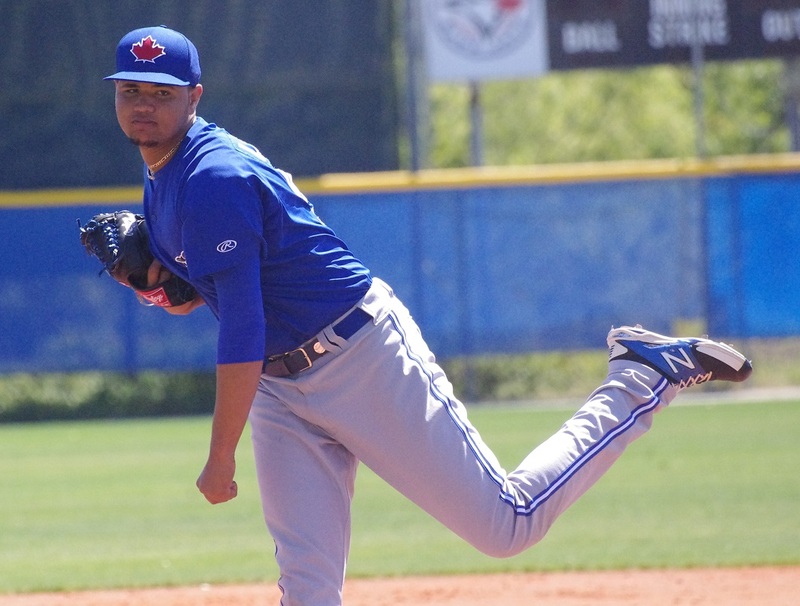 Up first, we will look at the Top 5 Pitching Prospects currently in the Blue Jays organization. Even with having to recover from TJ, Hoffman should be considered an advanced pitcher and could climb through the minors quickly. Fastball: Throws two fastballs (four seam and two seam). Four seam is a heavy fastball that sits in the mid to high 90’s and regularly touches 97-98. 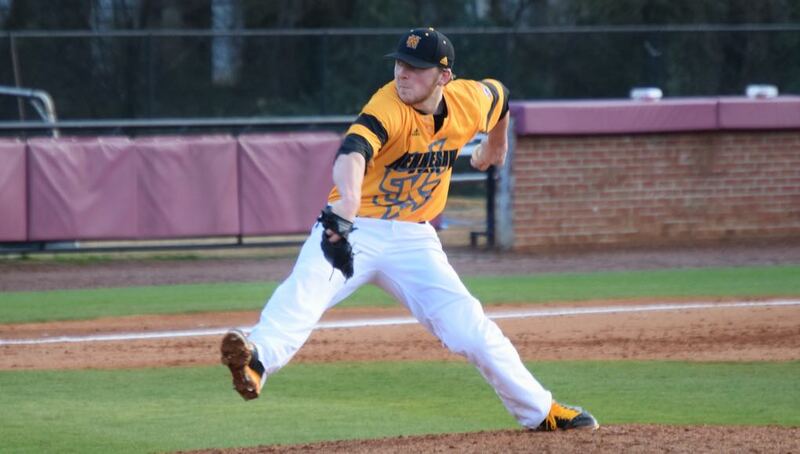 His two seam sits in the low to mid 90’s and features above average sink and runs inside to right handed hitters. Curveball: Viewed as a plus to plus-plus pitch and as dominant as his fastball. The curve has good depth and biting action and sits in the 78 to 81 mph range. Changeup: Not as good as his curveball, but he has shown to have a more consistent feel for it. The changeup is viewed as above average to plus and could continue to develop into another filthy weapon at his disposal. It sits in the mid to upper 80’s and has good, late movement down and in to right handed hitters. Hoffman has also shown the ability to throw an average slider, but has seemed to put it in his back pocket for the time being. 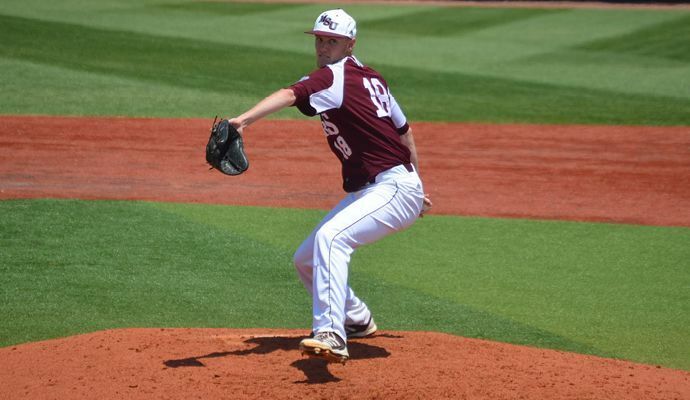 Considered to be one of the best prep school pitchers available in the draft, the jays landed him in the supplemental draft and signed him at slot value. Could be considered a steal as he shad potential to be among first 30 names called, not to mention having signed a college commitment letter. Tall and athletic frame which could allow for more velocity as he ages. His athleticism also allows him to repeat his delivery with relative ease; even if it isn’t the most fluid of deliveries. One cause for concern is in his pitching mechanics. 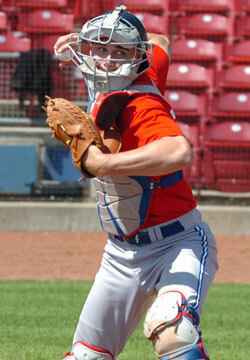 Tends to throw across his body with a high arm slot and pitching elbow. 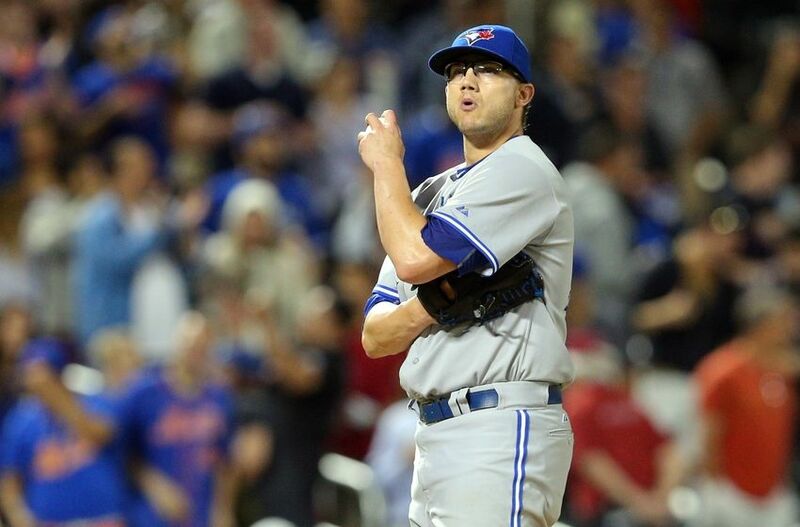 The Blue Jays have been rumoured to potentially tweak his delivery as it could result in an elbow or shoulder injury. If everything clicks, he projects as a mid rotation pitcher at MLB level. Fastball: Sits between the 92 and 95 mph range and can hit 97 on the radar gun. His fastball also has above average movement inside to right handed hitters due to him throwing it with his two fingers held in close proximity to one another. Changeup: Viewed as a work in progress and would currently rank as an average pitch at its best. Biggest issue with the changeup is his inability to throw it from the same arm slot as his fastball. This “tipping” of the pitch allow hitters to know that it’s coming and adjust accordingly. Until he gets a better feel for the changeup, he will be viewed as a predominant two pitch pitcher. The Blue Jays have found great success on the international free agent scene and Labourt is one of many big arm high ceiling arms that they have managed to stockpile. The big Dominican southpaw has an effortless delivery with clean arm action. Should bode well for his durability in the long run. Struggled with his control in his first few seasons but a change to his pitching mechanics has resulted in better control and an elevated groundball %. The biggest knock against the big lefty has been his inconsistent command of his pitches. He will need to continue to improve his control and hit the strike zone in order to continue advancing through the minor leagues. 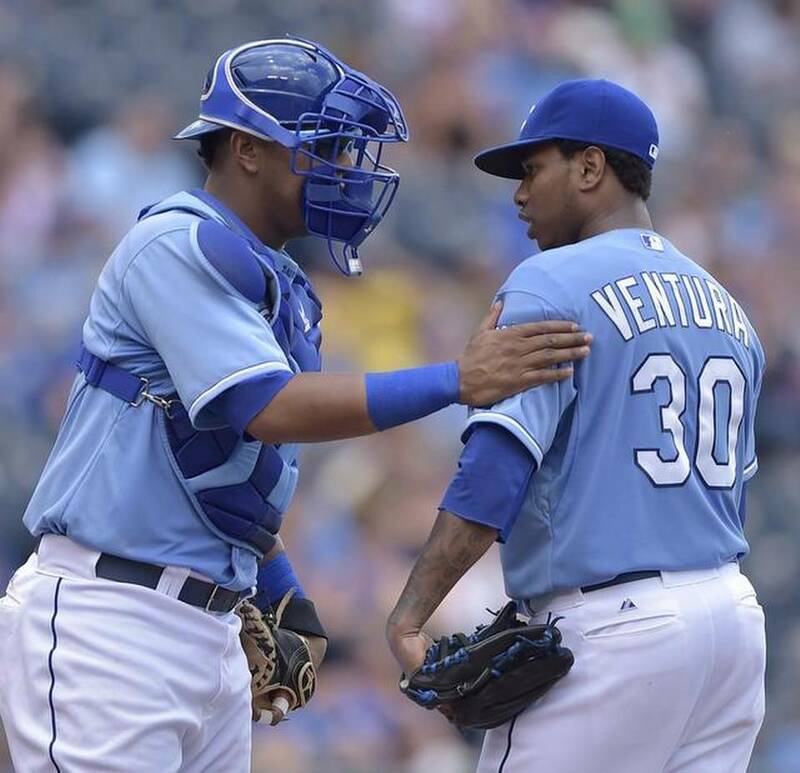 Development of change-up could be the difference between him starting or relieving. Has projected as a “workhorse” starter due to his large frame. Fastball: Heavy with good sinking motion – aided further by Labourt’s downhill pitching delivery – that routinely sits in the 89 to 93 mph range and has hit 95 mph on the radar gun. Slider: Considered the better offering of his two secondary pitches. He will throw his slider between 83 to 86 mph and it is prone to diving out of the strike zone and into the dirt as it approaches home. Definitely has the potential develop into a “wipeout” slider. Changeup: Currently a work in progress and forces him to rely more on his slider as an off speed offering. Labourt’s changeup will sit between 77 and 79 mph but is rarely used in comparison to his other pitches. 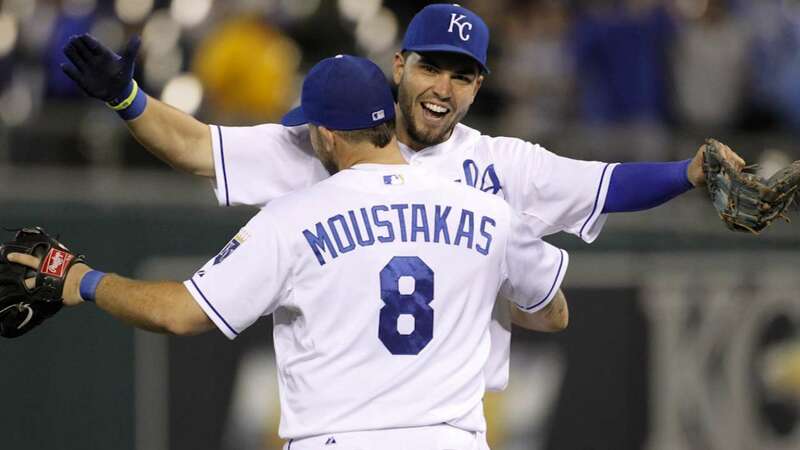 He will need to further develop this in order to stay as a starting pitcher at the major league level. 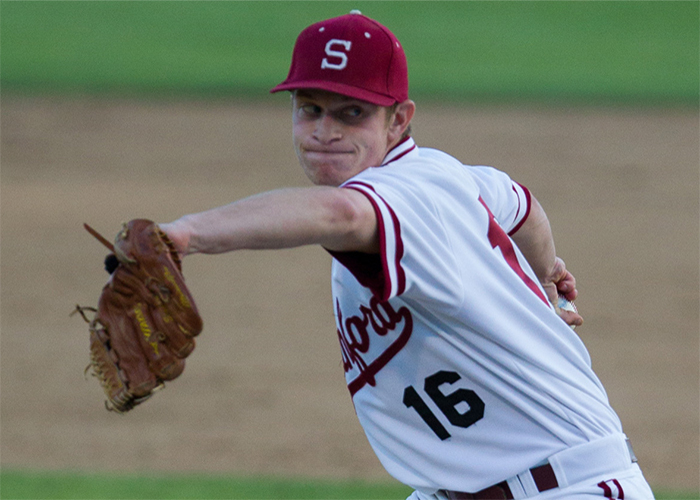 Due to his enormous height, similar pitch arsenal and deceptive left-handed delivery, Smoral has (unfairly) been compared to both Randy Johnson and Madison Bumgarner. Originally projected to be a first round draft selection but fell to the Supplemental 1st round due to a broken foot he suffered in High School. The injury could be a blessing in disguise as if he even remotely reaches his potential he could be a big time steal. 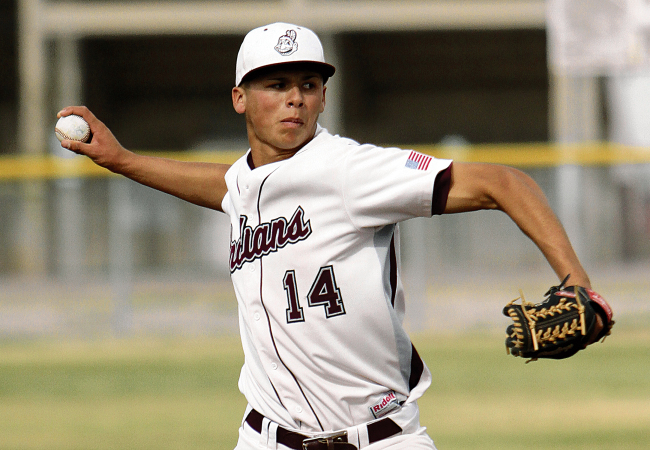 After dealing with an assortment of injuries in his first two seasons, Smoral made big strides in 2014 by appearing in 52.1 innings. Despite this minor success, Smoral is still considered to be a work in progress. The main reason for this, aside from the injuries, has been his struggle to repeat his delivery and throw his pitches for strike. Unfortunately for the 6’8 lefty, the primary culprit for his command and delivery issues is his enormous stature. 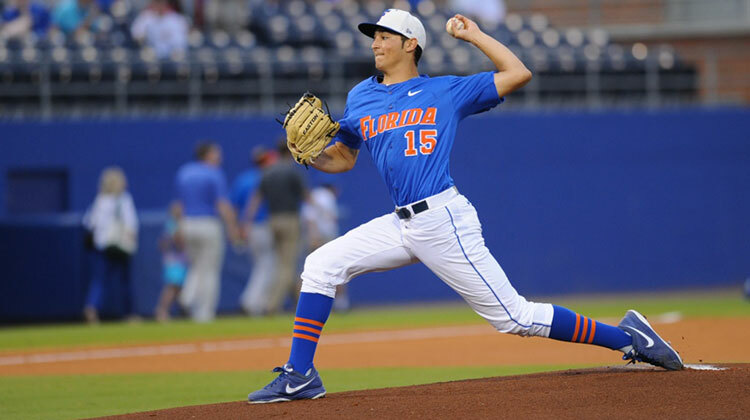 Since their size forces them to be releasing the ball practically on top of the batter, young pitchers with immense height tend to have more problems learning to hone their mechanics than their shorter peers. Fastball: Sits in the low 90’s but has been known to hit as high as 95 mph on occasion. His fastball is graded as an above average pitch that could eventually develop into a plus pitch as he continues to progress. 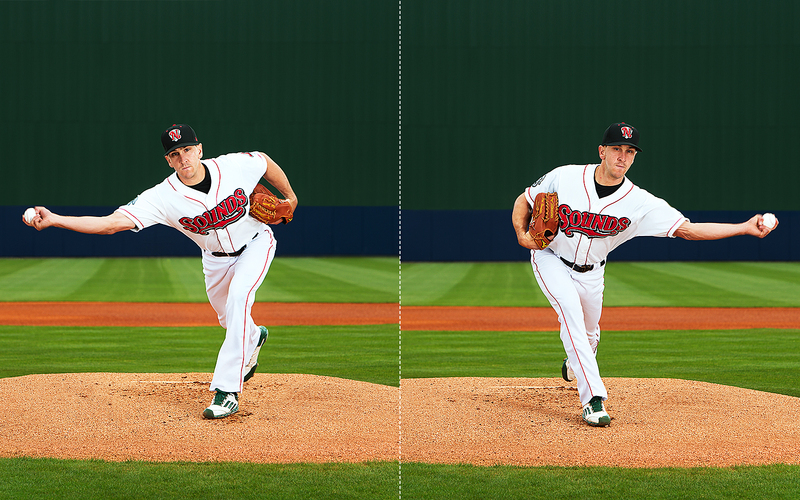 Smoral’s low ¾ arm slot and smooth delivery of the pitch also helps it to appear even faster to opposing batters. Slider: When he has a good feel for it, the slider will appear more as a plus pitch than an average to above average one. Throws it in the mid 80’s, but does tend to struggle with his control and command which causes it to flatten out and appear more hittable. When it is on though, it has the makings of a true “wipeout” slider. Changeup: Still a work in progress compared to his slider. Will sit in the high 70’s to low 80’s range and has good late sinking and fading action as it nears the plate. 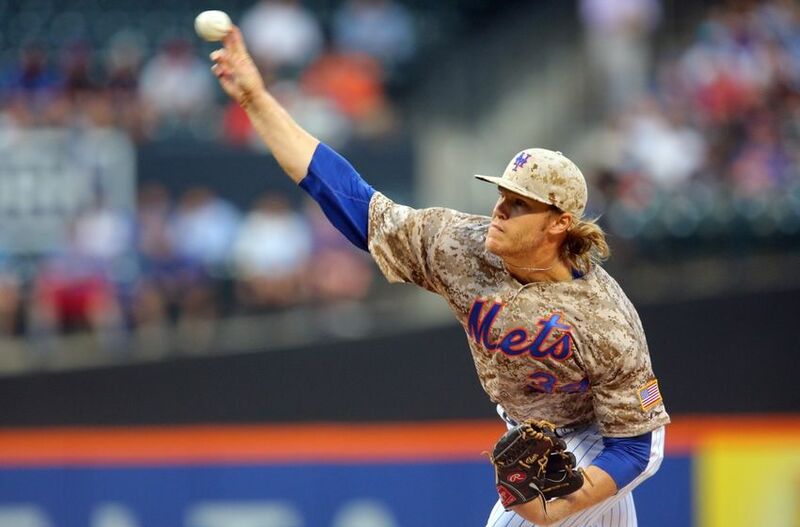 His changeup comes from a similar arm slot as his fastball which allows it to be more deceiving to batters. Despite it still being a pitch in development, he has shown to have a good feel for the changeup. Fastball: Mainly sits in the low 90’s but has hit as high as 94 mph on the radar gun. His fastball has shown to have good life to it and tends to run inside to left handed hitters. As mentioned above, he could add more velocity if he adds some more size to his frame. Curveball: Not as polished as his changeup but has a pretty decent feel for the pitch. Curveball will sit in the mid 70’s and may have more of a “slurve” movement depending on how he grips it. Changeup: The better offering of his two secondary pitches, Borucki’s change, like his curveball, will sit in the mid 70’s range. He has shown a better feel for the pitch and seems more comfortable throwing it in high leverage situations than his breaking ball. 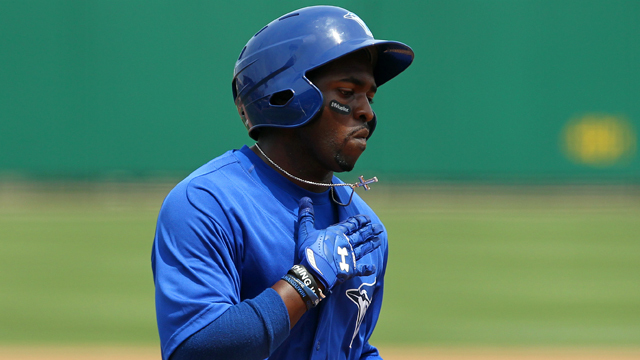 Coming up next… the Top 5 Toronto Blue Jay positional prospects.